Got someone who loves to bake on this year’s Christmas list? 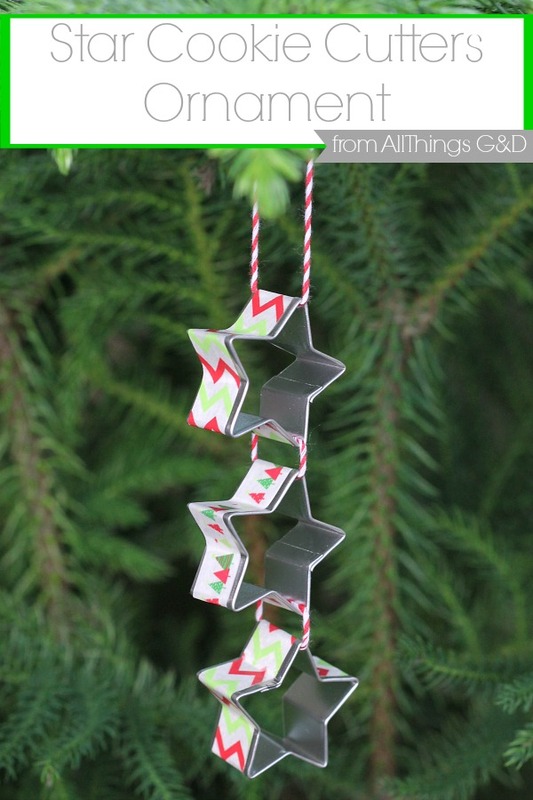 Make them this super simple Star Cookie Cutters Ornament! 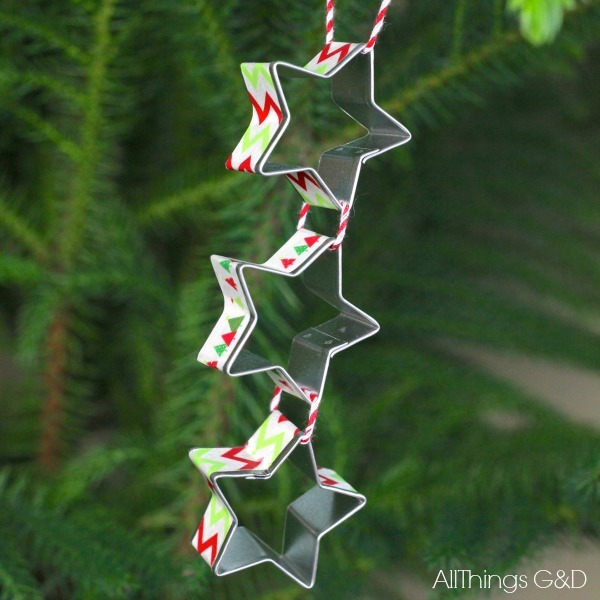 To make, I purchased three mini-star cookie cutter ornaments – the really itty bitty ones. (These are each about 1″ tall.) I then covered the outsides of the stars in this super cute washi tape I found at Michaels. Lastly, I strung them all together with red and white baker’s twine . This is quite possibly the easiest thing you’ll be doing with cookie cutters this entire holiday season! Looking for more inspiration? 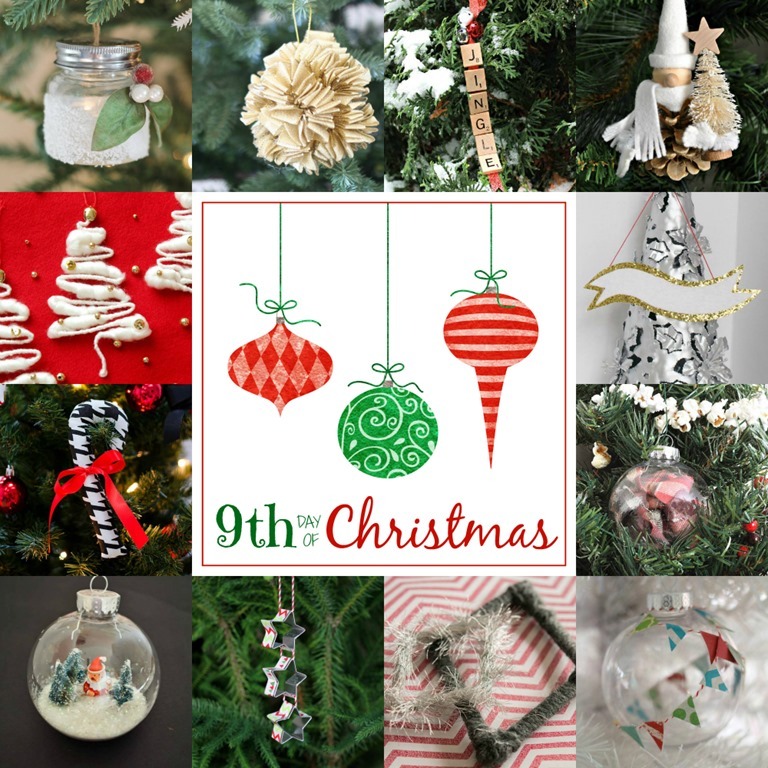 Check out the rest of our Day 9 goodness in our 12 Days of Handmade Christmas Ornaments collection! This would be perfect to tie onto a Christmas present as well! And I, too, love that washi!